Pratt, Brooke. "André Alexis". The Canadian Encyclopedia, 06 November 2017, Historica Canada. https://www.thecanadianencyclopedia.ca/en/article/andre-alexis. Accessed 24 April 2019. André Alexis, novelist, playwright, short-story writer (born 15 January 1957 in Port of Spain, Trinidad). Winner of the Scotiabank Giller Prize and the Writers’ Trust Fiction Prize for his novel Fifteen Dogs (2015), André Alexis is one of Canada’s most respected novelists. He lives and works in Toronto, where he reviews books for the Globe and Mail and acts as a contributing editor for This Magazine. He has also hosted CBC Radio One’s Radio Nomad and CBC Radio 2’s Skylarking. 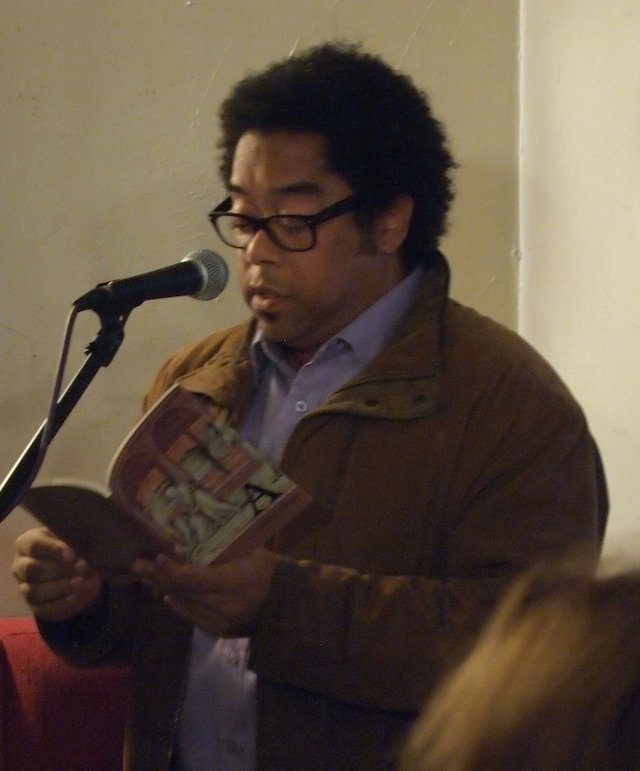 André Alexis at the Ottawa International Writers Festival, 26 October 2013. Following his parents, who left Trinidad in the late 1950s, André Alexis and his younger sister immigrated to Canada in 1961. After a short stint in the southwestern Ontario town of Petrolia, Alexis and his family moved to Ottawa, where he subsequently spent most of his youth. Alexis began his artistic career in the theatre and has held the position of playwright-in-residence at the Canadian Stage ​Company (CanStage). His play, Lambton, Kent, and Other Vistas, depicts southern Ontario from the point of view of a Nigerian anthropologist, Dr. M’tubu. The play consists of Dr. M’tubu delivering lectures on the idiosyncratic local customs of the region and his own archaeological finds. The play was first performed and produced in 1995, to mixed reviews, and was released as a book in 1999. 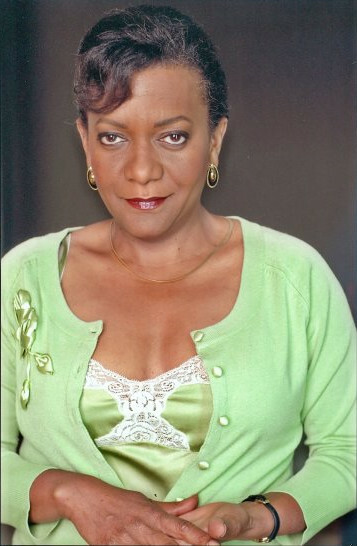 Alexis’s first published work of fiction, Despair and Other Stories of Ottawa (1994), was shortlisted for the Commonwealth Prize (Canada and Caribbean region). In this collection of short stories, Alexis provides a philosophical examination of the mysterious interior of the human psyche by inviting his reader into the dark and dreamlike spaces in which his characters carry out their everyday lives. The book also provides a surreal depiction of the nation’s capital. With his debut novel, Childhood (1998), Alexis secured his reputation as an emerging talent, winning the 1998 Amazon.ca/Books in Canada First Novel Award and cowinning the Trillium Book Award (which he shared with Alice M​unro). Written as a fictional autobiography, Childhood tells the story of middle-aged protagonist Thomas MacMillan, who, in his struggle to understand himself and his origins, reflects on the relative isolation of his early life with his unconventional Trinidadian grandmother. Although Thomas remains intimately attached to both the recollected places of his past and the city of his present, Ottawa, he also reveals the inherent uncertainty of his ongoing desire for a lasting sense of home. A poignant exploration of one man’s attempt to find balance between his endless thirst for knowledge and the strangely persistent power of love, Childhood was also shortlisted for the Scotiabank Gill​er Pr​i​ze and received various other national and international honours. Alexis followed Ingrid and the Wolf (2005), his first children’s book, with his second novel, Asylum (2008), which was poorly received. His third novel, Pastoral (2014), marked a return to form. The story about a young priest at a parish in the small rural village of Barrow in southwestern Ontario was a finalist for the Writers​’ Trust Fiction Prize. Pastoral also turned out to be the first installment in a larger project that was partly inspired by the work of the great Italian writer and film director Pier Paolo Pasolini, particularly his film Teorema (1968), which explores the disruptive impact of a stranger on an upper class family. Pastoral was followed by Alexis’s most successful novel to date, Fifteen Dogs (2015), a philosophical exploration of a pack of dogs who have been given human consciousness by the gods. The book won the Scotiabank Gil​ler Prize and the Writers’ Trust Fiction Prize. The book was also the best-selling title in the history of the publisher, Coach House Books. Alexis’s next novel, The Hidden Keys (2016), is an adventure story set in the Parkdale neighbourhood of Toronto and was inspired by Robert Louis Stevenson’s Treasure Island (1883). In 2017, Alexis received one of the world’s richest literary prizes, the $165,000 US Windham-Campbell Prize, which is administered by the Beinecke Rare Book and Manuscript Library at Yale University. Upon awarding Alexis the prize for his body of work, the judges complimented his “astonishingly clear, supple prose that propels readers through the complex philosophical questions…that have preoccupied him through two decades of work.” Other Canadians to have received the award include nonfiction writer John Vaillant (2014) and playwright Han​nah Moscovitch (2016).